Written and Media by Tymber Gabbert. 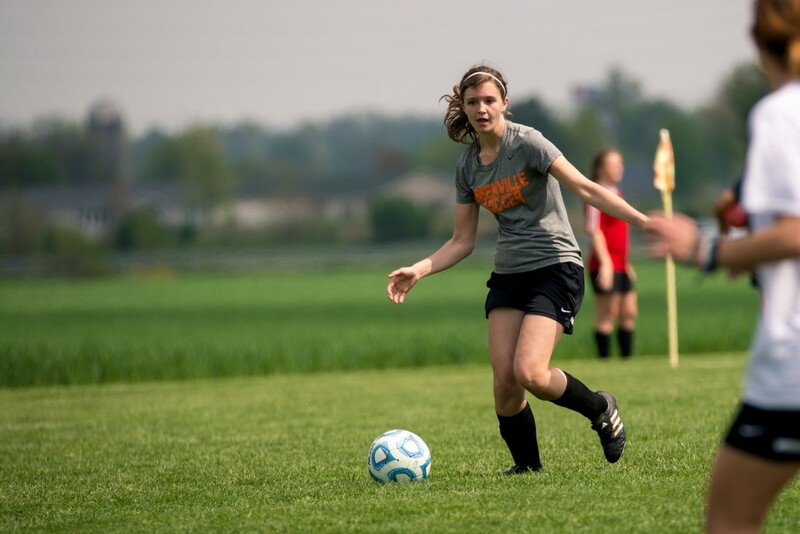 Spring soccer is back once again as the Greenville College Women’s Annual 7v7 Soccer Tournament took place on Saturday, April 23. Ten teams participated in the tournament including: Greenville College, Principia College, St. Charles Community College (SCC), Rose-Hulman Institute of Technology, SWIC, Lincoln Christian, Lindenwood University-Bellville, Harris-Stowe State University (HSSU) and two GC alumni teams. 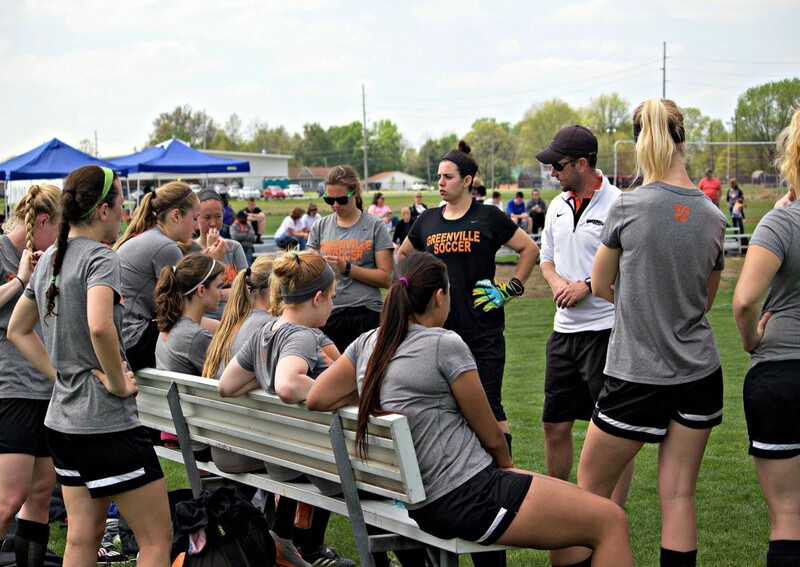 The Lady Panthers put up a good fight as they went undefeated in their first four matches and won their semi-final game, only to suffer a tough 1-2 loss to Rose-Hulman in the final. four games to face Lindenwood University-Belleville. GC hit the back of the net first as freshman Suzi Connor beat the keeper with a far-post shot. Freshmen Danielle Pearce and Natty Hepburn and junior Whitney Warner also found the back of the net and the game ended 7-2 in Greenville’s favor. 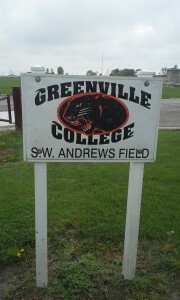 As the sun popped out of the late morning clouds, SCC proved to be a tougher challenge for GC. 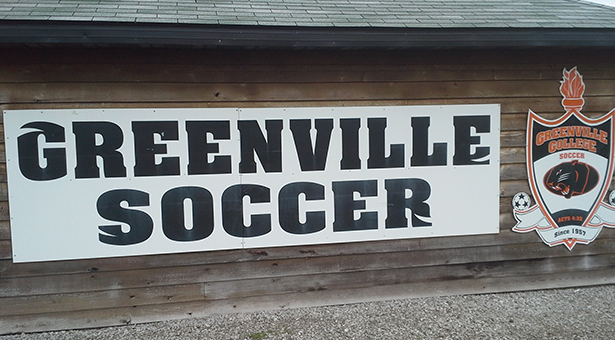 The game went back and forth only to end in a 1-1 draw with Greenville’s goal coming from Connor. “It was a high energy, fast paced game that created an intense, physical and well-played game by two even teams,” Head Coach Jeff Wardlaw said. 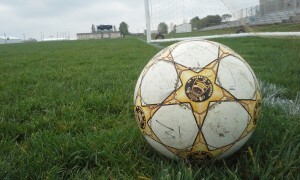 The Lady Panthers proved to be unstoppable as they out-performed a good HSSU side, eventually winning 5-2. The goals were credited to Connor, Hepburn, Pearce, senior Faith Benson and sophomore Barbara Nigro. Tired legs were felt by all as the Lady Panthers entered their fourth match of the day to face a talented Lincoln Christian team. However, the Panthers defense prevailed and shut down Lincoln’s offense, only allowing one goal to be scored against. GC advanced to the semi-finals with a 5-1 win with goals from Hepburn, Connor, freshman Traci Roa and senior Jamie Schollenbruch. SWIC, Rose-Hulman, SCC and GC proved to be the top four teams of the tournament and all advanced to the semi-finals. first game of the semis. Fouls were being called left and right as both teams were giving it all they had because they knew only one team could advance. Greenville’s persistence shone through as Connor, Warner and Nigro all put goals past the SWIC keeper resulting in a 3-1 win. “They [SWIC] have a very strong side with a lot of really talented players and were the favorite going into the game. Our girls followed the game plan brilliantly and really frustrated them and finished our chances,” Wardlaw said. The breeze picked up as the evening air fell over the girls preparing themselves physically and mentally for the final match of the day. Rose-Hulman dominated their bracket and GC took care of business in theirs, but there could only be one champion. Rose-Hulman started off strong and took a 1-0 lead over Greenville into halftime. “During halftime we really talked about finding that extra tank of energy to finish the day off on a high note and get back to what we had been doing all day, which takes that energy,” stated Wardlaw. The Lady Panthers eventually found the back of the net early on in the second half, leveling the score at 1-1. However, Rose-Hulman found themselves able to capitalize on an opportunity changing the score to 1-2 in their favor. No matter the effort put fourth, the Panthers couldn’t catch a break as shot after shot found the goalie’s hands. It was evident that Greenville was giving it all they had in the last few minutes of the match as they pounded Rose-Hulman with shots. However, the Panthers were unable prevail and saw the championship slip through their fingers as the game ended 1-2. “Overall it was a great game between two teams that respect each other a great deal and we know it is always going to be a good battle against them,” said Wardlaw on the championship.